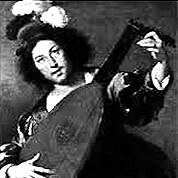 Alonso Mudarra was a Spanish composer and vihuelist of the Renaissance. He was an innovative composer of instrumental music as well as songs, and was the composer of the earliest surviving music for the guitar. Mudarra wrote numerous pieces for the vihuela and the four-course guitar, all contained in the collection Tres libros de musica en cifras para vihuela. Renaissance Era. 40 Measures. 5 Pages. Time Signature 2/2. Key of A.